The Clare hub is looking for a ‘renewed commercial strategy’. SHANNON AIRPORT IS looking for advice on how it can “improve overall competitiveness” and become a “challenger brand” to rival airports in Ireland. Management at the County Clare hub have tendered a contract for a business consultant to help it create “a renewed commercial strategy and brand framework” to increase passenger spend and encourage repeat visits from travellers. It’s hoped this new branding strategy will serve as “a North Star” to Shannon Airport and its sister brands under the wider Shannon Group umbrella. 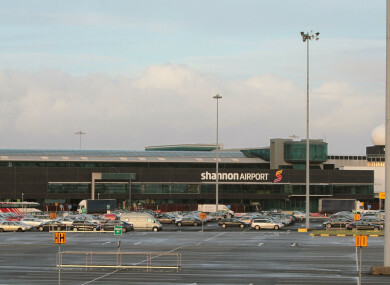 According to the group’s most recent annual report, Shannon Airport handled just over 1.7 million passengers last year – well below the 2.2 million who travelled through Cork. Although traffic increased at Shannon in recent years, figures remain a long way from the 3.6 million passengers it handled a decade ago under DAA ownership. Last year, Shannon Airport booked sales of just over €37.3 million for the financial year ended 31 December 2016, down about €400,000 on the revenues it generated the year before. In an effort to help it “evolve” its business and squeeze more spend out of passengers, airport management wants a business consultant to help it concoct a “brand vision that conquers the Irish market”. The successful tenderer will be required to “evaluate the relative commercial performance” of the airport and highlight what elements needs improvement. As part of the three- to six-month contract, the winning bidder will be expected to audit the existing retail offering at Shannon Airport “in order to understand performance at an individual retail level”. The branding exercise will commence in October, which is when the airport is expected to begin work on a new duty-free section that also recently went to tender. As previously reported by Fora, Shannon Group retail boss Darren Smyth said the airport will be given a makeover to mimic the success of the parent company’s new souvenir shop brand, Shannon Irish Design Store. The layout of a shop at Bunratty Castle & Folk Park will serve as the model for the new-look duty-free, which will include a water-wall feature. He promised that the revamped duty-free is “not going to look like a duty-free”. Email “Shannon Airport wants outside help to become a 'challenger brand' to Dublin and Cork”. Feedback on “Shannon Airport wants outside help to become a 'challenger brand' to Dublin and Cork”.